If you need to haul some cargo and want a quieter ride on the trip, here’s some news for you: Rental company Ryder said on Friday that it ordered 125 all-electric vans that’ll be available to rent or lease in California and New York City by the end of the year. In a news release, Ryder said it purchased 125 all-electric, medium-duty vans from a startup called Chanje Energy. (Chanje, you might have guessed, is pronounced “change.”) The vans can handle up to 6,000 pounds, or up to 580 cubic feet of cargo. Specs weren’t immediately available, but The Verge reports they’re slightly smaller than Daimler’s recently-announced medium duty trucks, coming in at 26.5 feet long with a curb weight of roughly 10,000 pounds. A spokesperson for Ryder didn’t immediately respond to a request for comment. 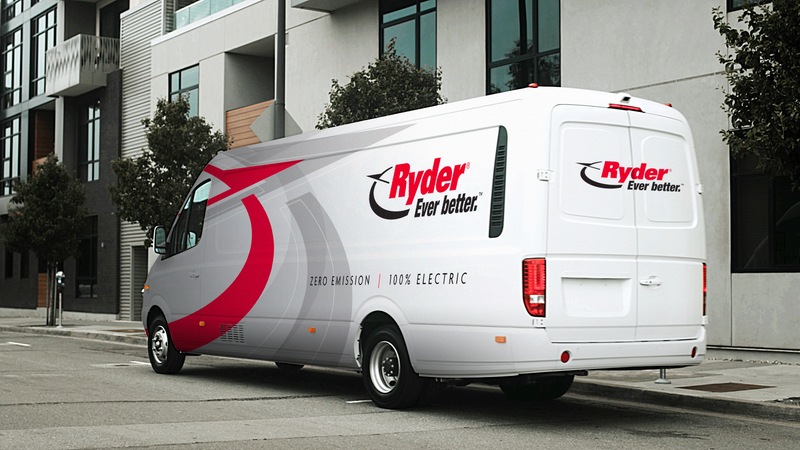 The all-electric delivery vans will be available to numerous cities in California, New York, and Illinois, Ryder says. Verge reports the vehicles will have a 70kWh battery, allowing it a range of about 100 miles. Ryder says it’s currently working to install charging stations at maintenance facilities located in the cities where the vehicle will first be available. The cost to rent the vehicle isn’t immediately known. If we hear back from Ryder we’ll update this post.